A/Professor Garry Glazebrook is a transport and urban planner, specialising in the evaluation and design of sustainable transport systems and their integration into the urban environment. A/Professor Glazebrook’s key areas of expertise include public transport network planning; integration of transport and land use; transport operations analysis; and accessibility analysis. He combines this public transport focus with a strong statistics and operations research background. 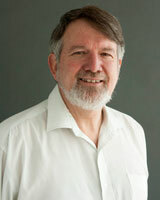 A/Professor Glazebrook has over 35 years’ experience in Federal, State and Local Government, consulting and academia. In particular, he has extensive policy experience at senior level in State, Federal and Local Government, including positions such as NSW Water Resources Commissioner, Director of Industrial Supplies Office, and Manager, Transport Policy, City of Sydney. He has made extensive contributions to developing long-term transport plans. In addition, he has been a prolific contributor to the wider debate on transport planning by: publishing a 30-Year Public Transport Plan for Sydney; involvement on the Independent Public Inquiry into a Long Term Public Transport Plan for Sydney; and authoring the Long Term Transport Plan for City of Sydney. With Professor White and Dr Zeibots, he was a member of the NSW Long Term Transport Master Plan Expert Advisory Committee. He has furthered this contribution by presentations at over 50 conferences, seminars, public lectures and other events over the last eight years. A/Professor Glazebrook also has extensive consulting experience over more than fifteen years in transport including the development of intelligent transport systems, the design of transport strategies to reduce the impacts of transport on the environment and the integration of transport with urban planning. For example he was the key author of the "Connecting our City" strategy for the City of Sydney, which included a multi-modal approach for handling travel demand into the City Centre over the next twenty years. This included initiatives such as developing a street hierarchy and the introduction of light rail in George Street in conjunction with pedestrianisation, changes to speed limits, introduction of shared spaces and modifications to bus routes through the city. This strategy helped inform the State Government's soon to be released City Centre Access Strategy which will lead to major changes to the way traffic and transport is managed in the city to address environmental, capacity, safety and amenity concerns. He has taught urban planning at the University of Technology, Sydney, and has a wide range of research and consulting publications. A/Professor Glazebrook was awarded the Institute of Engineers Australia Excellence Award for outstanding contribution to the Warren Centre’s “Sustainable Transport in Sustainable Cities” project. Toon, J., Glazebrook, G.J. & Searle, G.H. 1994, 'Future Employment Trends and Patterns in the Sydney Region', PRC Monograph No. 39, Planning Research Centre, University of Sydney, and Transport Study Group of New South Wales, Planning Research Centre, University of Sydney, Sydney. Limiting global warming to 1.5 °C will require rapid decarbonisation of the world's electricity and transport systems. This must occur against a background of continuing urbanisation and the shift to the information economy. While replacement of fossil fuels in electricity generation is underway, urban transport is currently dominated by petrol and diesel-powered vehicles. The City of the Future will need to be built around a different transport and urban paradigm. This article argues that the new model will be a polycentric city linked by fast electric rail, with local access based on autonomous 'community'-owned electric cars and buses supplemented by bicycles, electric bikes and scooters, with all electricity generated from renewables. Less space will be wasted on roads and parking, enabling higher accessibility yet more usable public open space. Building the cities of the future will require national governments to accelerate local initiatives through appropriate policy settings and strategic investment. The precise way in which individual cities move into the future will vary, and the article illustrates how the transformation could work for Australian cities, like Sydney, currently some of the most car dependent in the world, using new financial and city partnerships. Newman, P., Glazebrook, G.J. & Kenworthy, J. 2012, 'All aboard: the growth of global rail and our future cities', The Conversation, vol. 4 December. Studies looking at the relationship between urban form and travel behaviour have generally considered spatial information at coarse metropolitan or local government area scales. We analyse ABS census data at the Collection District level for the metropolitan areas of the mainland Australian state capital cities, and at various spatial scales for an in-depth analysis of commuting in Sydney. The analyses suggest that the relationship between travel behaviour and urban form is complex, and that simple analyses of density alone are likely to overstate the effect of both metropolitan and neighbourhood scale population density on mode choice, but that these variables serve as useful proxies for more complex measures of urban structure. There has been growing interest internationally in the development of comprehensive estimates of the costs of urban transport, fuelled by concerns over global warming, peak oil, road congestion, tolls and public transport subsidies. This article examines the internal and external costs of major modes in Sydney. In terms of total costs, trains are the cheapest, followed by buses, with cars the most expensive. However, the 'out-of-pocket costs' paid by motorists at the time of making a trip are less than one-sixth of total costs. This suggests rational individual travel choices do not add up to rational travel patterns for the city, and that we are paying heavily as a society for the convenience of cars. Governments need to give higher priority for public transport (particularly rail which has the lowest overall costs of any mode) and to change pricing for urban travel, if we are to develop more sustainable cities. The nature and form of the urban environment is a critical determinant of the sustainability of our society, as it is responsible directly for a large proportion of consumed energy, and influences indirectly the patterns and modes of energy consumed in everyday activities. We examine the current state of research into the energy and greenhouse gas emissions attributable directly or indirectly to urban form. Specifically, we look at the embodied (construction) and operational energy attributable to the construction, maintenance and use of residential dwellings, and we review the literature on the relationship between urban structure and private travel behaviour. While there is clear evidence from both intra- and inter-city comparisons that higher density, transit-oriented cities have lower per-capita transport energy use, the effect of housing density on residential (in-house) energy use is less clear. More detailed research is needed to examine the relationships between urban form and overall energy use. This paper examines the potential implications of peak oil and global warming for urban passenger transport in Sydney. After analysing patterns of transport fuel consumption and greenhouse emissions for Sydney, the paper examines potential mitigation strategies, including options for minimizing travel demand, reducing oil and CO2 intensiveness, and shifting travel to more sustainable modes. It then proposes some plausible future scenarios for oil supplies and climate change, and examines their implications for urban transport in Sydney. The paper concludes that policy options for addressing these future scenarios exist but will need to be accelerated to avoid the risk of major disruptions to our lifestyles and economy. This paper investigates the environmental and urban impact of alternative land use and transport strategies for Macquarie Park, with a focus on transport emissions reduction. Macquarie Park is a typical high car-dependent 'edge city' within an emerging Australian multi-centred city form. Detailed simulations compare a transport scenario that incorporates a Personal Rapid Transit (PRT) network as a feeder for the existing transit nodes to a business-as-usual projection by 2030, and one reflecting current planned transport improvements ('Planned'). The environmental and urban impacts of the three scenarios are evaluated based on estimated differences in energy use, emissions, noise, and land area required for car parks. Zarafu, M.E., MacDonald, H.I. & Glazebrook, G.J. 2012, 'Retrofitting the edge cities - Macquarie Park Case Study', Conference Proceedings, 5th Healthy Cities: Working Together to Achieve Liveable Cities Conference, Non-peer reviewed papers, 5th Healthy Cities Conference, AST Management Pty Ltd, Geelong, Victoria, pp. 118-126. This paper investigates the health and urban impacts of alternative strategies to retrofit edge cities, including one that incorporates a Personal Rapid Transit network as a feeder for the existing transit nodes. Macquarie Park has been identified as a typical 'edge city' within an emerging Australian multi-centred city form. The health impact is evaluated based on the outcomes for air pollution, accidents and physical activity due to active travel. The avoided public health costs total $25 million per annum when weighed against a continuation of the existing transportation trends. A positive urban impact occurs from the smaller amount of land required for parking spaces with a potential capital cost saving of more than one billion from building car parks. This chapter describes an integrated assessment model for city-scale urban development that links the energy used in passenger transport (public and private) and residential in-house energy use. The model divides the urban region into disjoint subregions, the core of the model being centered on residential location choice, which is calibrated by population, demographic characteristics, and building types, leading to preferences for each subregion based on household type. Submodels are subsequently used to calibrate different rates of energy in accordance with household and demographic factors.THis generates a picture of consumption patterns across the metropolitan area, enabling an appreciation of spatially heterogenous factors such as differing levels of greenhouse gas (GHG) emissions, alongside variations in the distribution of infrastructures that can create considerable variation in energy consumption between districts within cities. The energy impacts of policy decisions that affect, by way of example, where new housing is to be built and of what type, can then be simulated. The workings of the model are demonstrated in the chapter using data on Sydney, Australia, as a case study, with the research offering a policy scenario to city officials to monitor its progress towards a 2030 vision for a sustainable Sydney. This paper presents a single, integrated urban model that focuses on the key areas of transport, domestic energy-use, and domestic water use and how these relate to urban planning and other policies. The model structure is spatial ï½ requiring a sub-division of the urban region into disjoint sub-regions. Such a sub-division is necessary, not only because spatial information is essential to any transport model, but also because climatic and demographic factors are common to all resource models, and are spatially heterogeneous. The model is intended for use by local, regional, and state authorities, government departments, energy, and utility service companies as a modelling and decision support tool for analysing the impact on cities of a range of energy, water, transport, and land use related policies. In particular, it seeks to understand the impact - reductions possible at household and city scales. Growing awareness of the threats from climate change has focused attention on greenhouse gas (GHG) emissions and the need to reduce them. Using a sample analysis of Sydney, our on-going research collaboration seeks to examine the working relationships between multiple infrastructure sectors through a single analysis platform. The need to integrate policy for multiple infrastructures is critical given the multiple fronts on which the sustainability of urban systems are now jeopardised. Glazebrook, G.J. 2007, 'Post Metro, Post Election: Key Issues for Western Sydney', Blacktown. Glazebrook, G.J. 2006, 'Policy Options for Managing Congestion', Australian Road Forum Conference, Sydney, August 21, 2006, http://www.roads.org.au/events/show/7. Glazebrook, G.J. 2006, 'Putting the Public Interest Back Into Transport', University of Technology, Sydney. Glazebrook, G.J. 2006, 'Housing, Transport and Cities: Some Myths and Realities', NSW PLanning -Off the Rails?, Sydney. Glazebrook, G.J. 2005, 'Sydney - Let it Ride', University of Sydney Planning Research Centre. Point - Counterpoint Series organised by University of Sydney Planning Research Centre. Glazebrook, G.J. 2005, 'World Class Rail for Sydney', Sydney. Glazebrook, G.J. 2004, 'Accessibility - The Link Between Transport and Land Use', Smart transoprt and Property 2004, Brisbane, 4-5 November 2004. Glazebrook, G.J. 2004, 'Toll Roads or Road Pricing? The Case for More Sustainable Cities', Sydney's Roads - Heading in the Right Direction?, Sydney. Glazebrook, G.J. 1998, 'Public Transport'. Participated in interview on Earthbeat program on public transport. Glazebrook, G.J., 'Sustainable Transport', Sustainable Cities, Australian Parliament, Canberra. Glazebrook, G.J. UTS DAB 2009, A Thirty Year Public Transport Plan for Sydney, pp. 1-43, Sydney, Australia. Glazebrook, G.J. NSW Parliament 2006, Submission No 74 to Inquiry into Cross City Tunnel, pp. 1-11, Sydney, Australia. Glazebrook, G.J. Crown Copyright Department of Planning 2005, A Public Transport Strategy for Sydney, pp. 1-5, Sydney, Australia. Glazebrook, G.J. City of Sydney 2005, Integrated Transport Strategy - Mass Transit for CBD and Inner City, pp. 1-29, Sydney Australia.